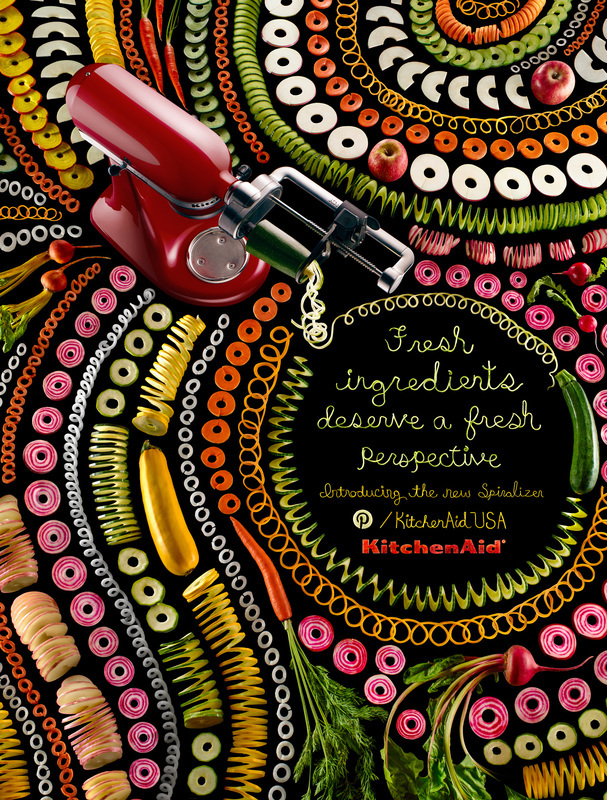 PRINT: The entire ad was created using the attachment and fresh produce. Even the logo is made out of apple. :30 TV: The spot showcases the every day versatility of the Spiralizer Attachment and provides inspiration for a new category of cooking. RECIPES: featured on Pinterest and on the KitchenAid Blog. Here are some of my favorite recipes we concepted for the TV spot. Recipe development and photography by the crazy talented Stephanie Le of iamafoodblog.